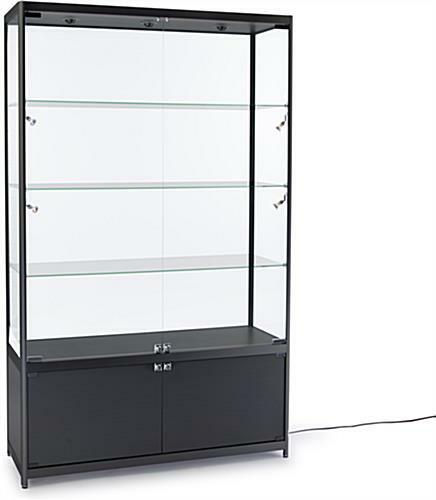 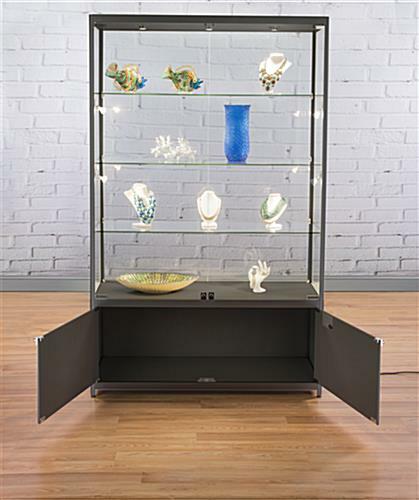 Each 4’ wide illuminated display case is a store fixture with lights that stands at 78” tall with (3) tempered glass shelves. 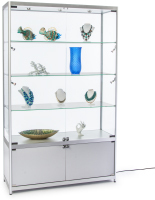 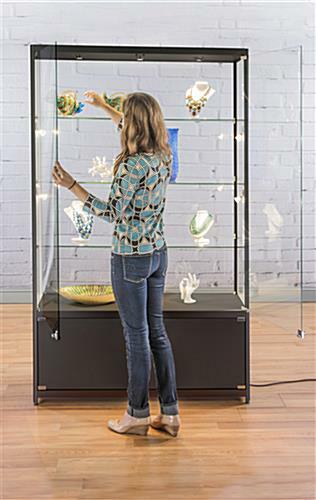 The base features a 16-3/4” space which is enclosed and locking so employers can hide private valuables that are not supposed to be showcased inside the cabinet for customer viewing. 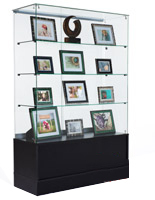 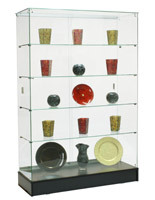 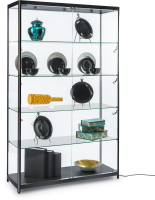 On uneven floors, adjustable feet help to prop and level the glass display case for stability. 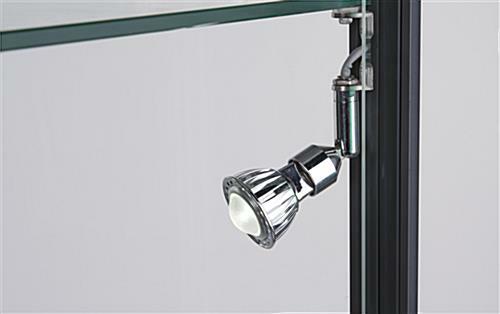 Constructed of tempered glass, melamine, and aluminum framing, each store fixture provides a contemporary vibe with a sleek appeal. 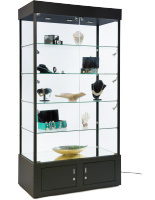 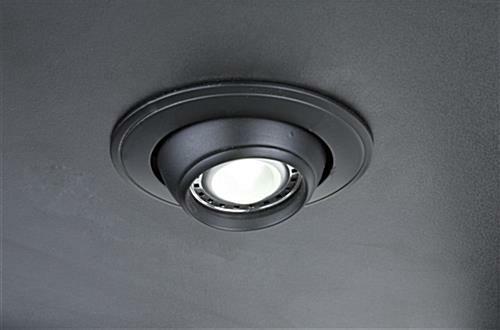 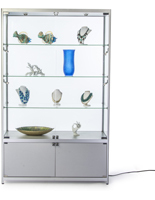 Dynamic lighting featured with the display case includes (3) halogen lights on top and (4) on the sides which can swivel up and down to create different shadowing effects. 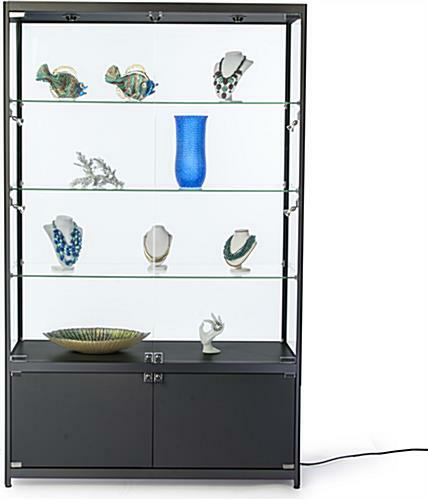 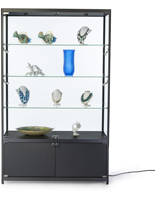 Provided with the cabinet is an electrical cord and a switch to control the illumination of curio. 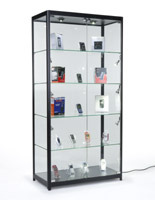 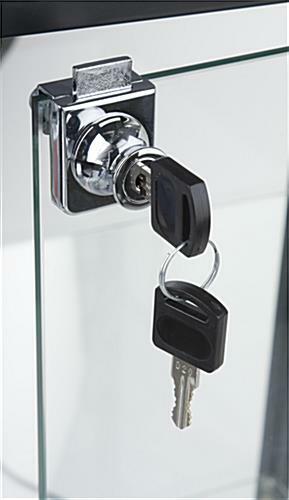 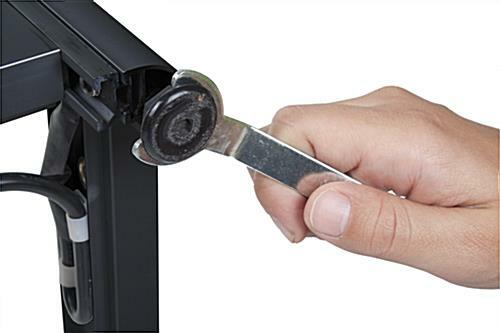 This product ships fully assembled to save you time!